Barcelona, Spain: Edicions 62. Very Good+ in Near Fine dust jacket. 1991. Third Edition. Hardcover. 8429723749 . 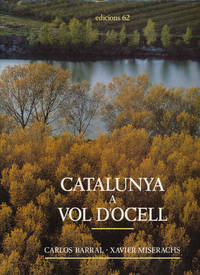 Spanish-language guide to Catalan. Ships same or next business day. Book has dark stain on free and pastedown endpaper; Dust jacket has minimal shelf and edge wear. In Very Good Plus/almost like new condition. Heavy book, requires extra shipping. ; Vida I Customs Del Catalan; 4to 11" - 13" tall; 227 pages .